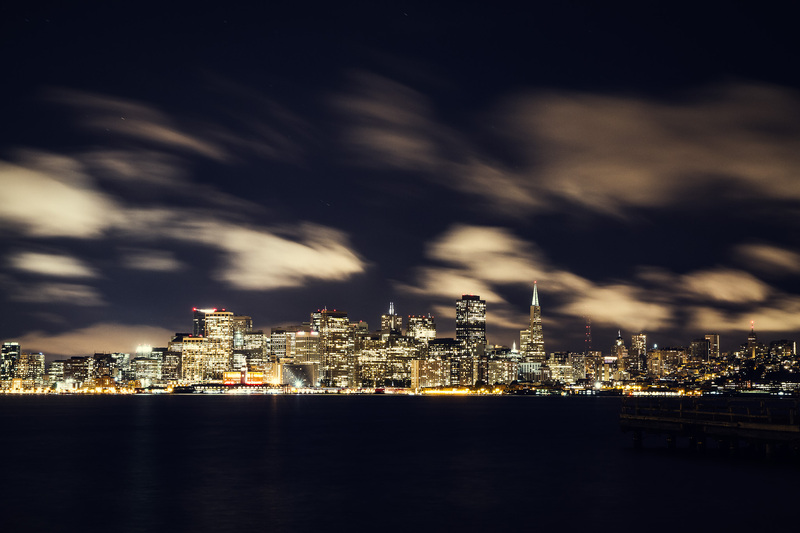 Native Sons and Daughters is a personal project that tells a story of the people that live in the city that they grew up in. Each subject chooses a portrait location that is meaningful to them in some way and represents their own connection to the city. 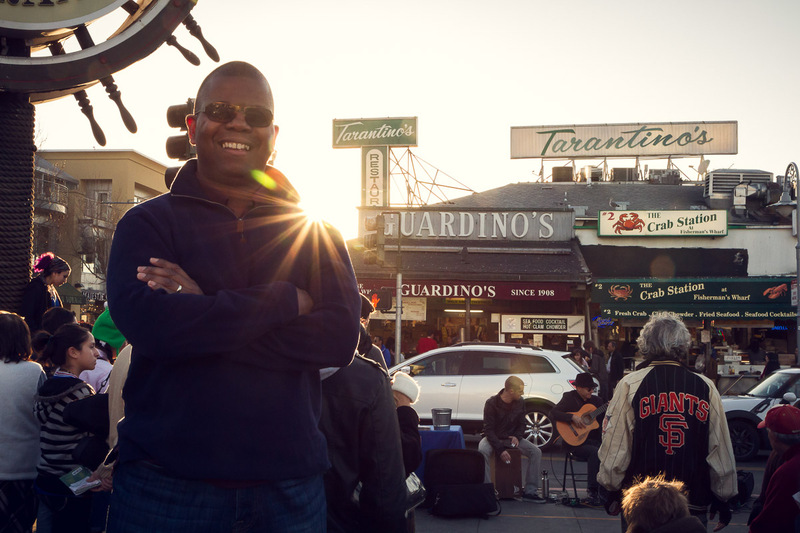 To start off this project my good friend Gary chose Guardino’s at Fisherman’s Wharf – a place where he held his first job in high school. Neighborhood he grew up in: Ingleside Terraces. Neighborhood he lives in now: Ingleside Terraces. 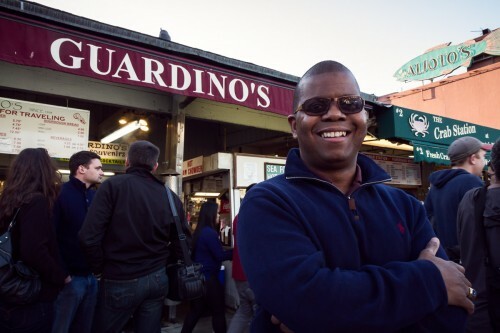 One of my favorite memories is working at Guardino’s. 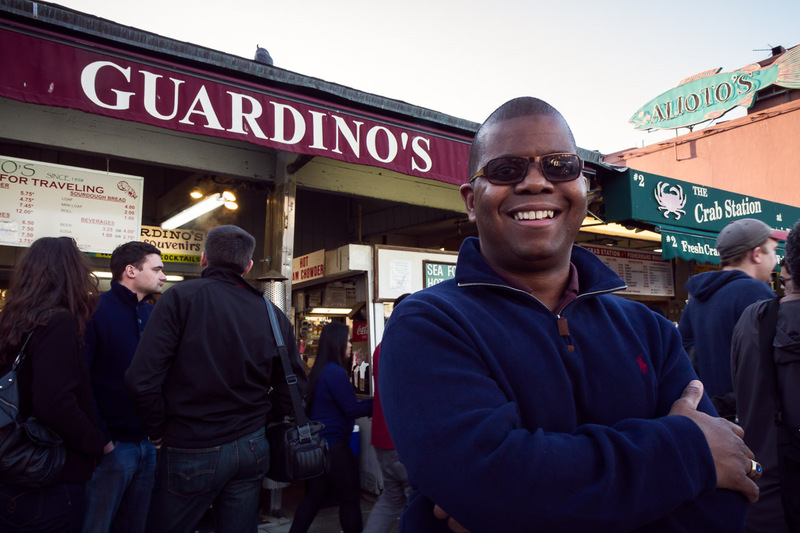 Guardino’s is a fish stand that is still there today at the corner of Jefferson and Taylor. I worked that job as a senior in high school. What I used to do is crack crab and sell clam chowder and french bread and calamari cocktails. 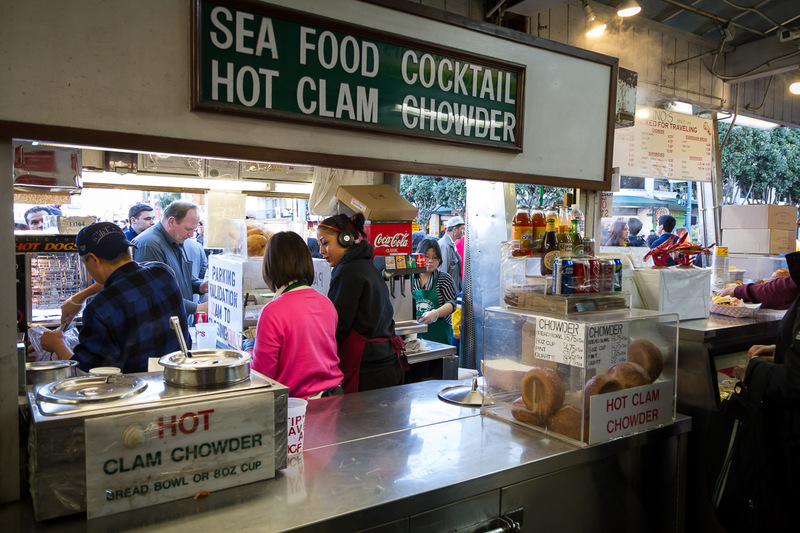 I would not have been exposed to calamari if I didn’t have that job and I was exposed to it here in San Francisco. Same thing with the ice skating rink. I got turned on to the ice skating rink because we went to a [San Francisco] boys chorus party there. Who knew we had an ice skating rink here? That was on 48th and Lawton and that was a really great memory. I learned something that I thought was only done on the East Coast and that I only saw on TV. Later in college, I worked there for about 3 or 4 years as an ice guard. I still have my jacket. The rink is no longer there. They tore it down. There are apartments there now.